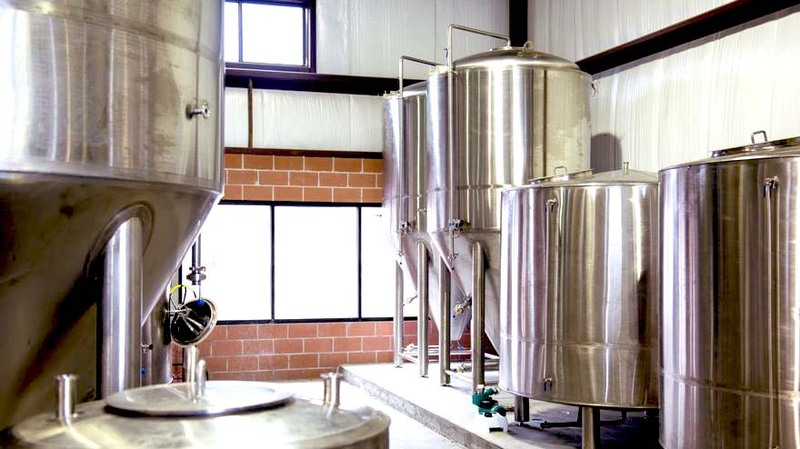 This form is for submitting general comments and questions to Foolproof Brewing Company. If you are contacting us to inquire about setting up a private event at our brewery, please click here. At Foolproof, we think about beer a bit differently. To us, beer is not just an alcoholic beverage but an experience that should be thoroughly savored and enjoyed. That’s why when we brew each beer, we think about specific life experiences and what style of beer would be absolutely perfect for that particular occasion. That’s how we came up with the concept of “experience-based brewing.” Each of our beers serves as a tribute to a sacred beer drinking experience—whether you’re watching a baseball game, relaxing at home on a rainy day, or just catching up with friends at the local pub, Foolproof’s goal is to create a unique and fulfilling beer experience for you. Cheers! And remember, it’s Your Life. Your Beer. 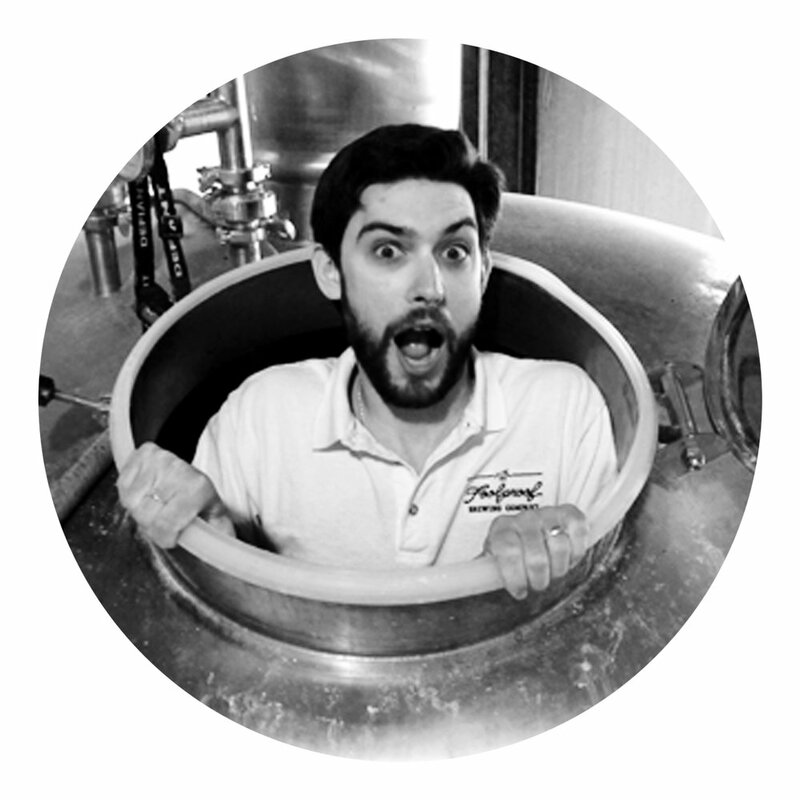 Like most people in the brewing industry, Nick started his career as an avid homebrewer. After only a few months of making his own tasty brews and even brewing all of the beer for his own wedding, Nick quickly realized that what started as a hobby had quickly spiraled into an obsession. Determined to turn his dream of owning his own brewery into a reality, Nick set out to put together a plan and a team. Four years later, Foolproof was born! Foolproof got their introduction to Steve as he hoisted a keg onto his shoulder and carried it down a flight of stairs. It didn’t take long before the team realized they could use a resident strongman at the brewery. But heavy lifting isn’t his only strength; Steve has been immersed in the craft beer movement in Rhode Island from the beginning, cultivating his passion along the way. With his flowing beard and years of experience serving, sampling, and occasionally homebrewing, Steve was an ideal fit for a brewing position. 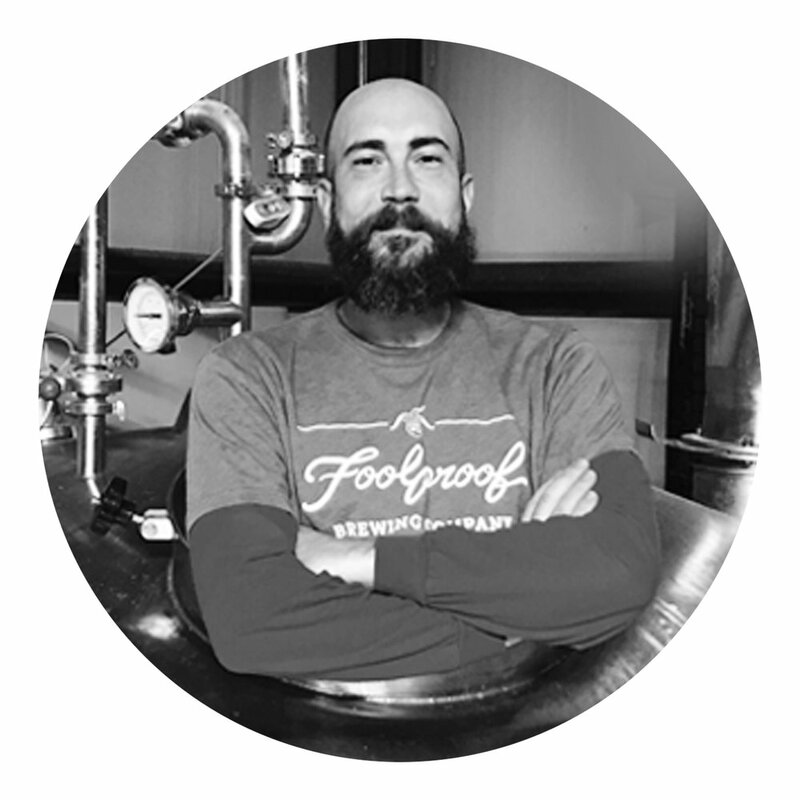 In a short time, Steve has climbed the ranks and now serves as Foolproof’s head brewer. He brings his enthusiasm for craft beer (and keg tossing) to work everyday. As a homebrewer since 2004, Jay periodically tried getting his foot in the door of the brewing industry. However, the timing was never quite right…until it was. Hoping to score some ingredients for the beer jerky he was making at home, he showed up to Foolproof as a volunteer on a packaging day and essentially never left. Jay spends his time eagerly learning ALL of the ins and outs of the canning line while focusing on producing the highest yields possible, keeping low-fills to a minimum, and reducing dissolved oxygen. As demand for Foolproof grew, so did Jay’s responsibilities, and within a few short months, he was on the brewing end of production too. Jay takes an enormous amount of pride in his casks; if you happen to sample off our beer engine, chances are good one of those crazy concoctions was his brain child. A few years in now, he still can’t express often enough how much he loves this job and being a part of this exciting industry. Stefano, a passionate home brewer, had the opportunity to make the leap from home brewer to working at a professional brewery and has not looked back since. Bringing his passion for craft beer with him everywhere he goes, it made perfect sense for us to put him in the field as our sales manager. Don’t worry, Stefano still finds time to come to the brewery to brew an occasional batch, when he is not too busy spreading the word about Foolproof. Sal got his start at Foolproof like much of the team did – he showed up to volunteer on a packaging day and never left. Quickly realizing this was a place he wanted to work, he left the mountains of Wyoming and came back home to Rhode Island. Putting his passion for all things beer to work, Corry worked his way to the position of Brewer. Combining his love for beer and life outdoors, he brings a sense of adventure to the brewing side of things. 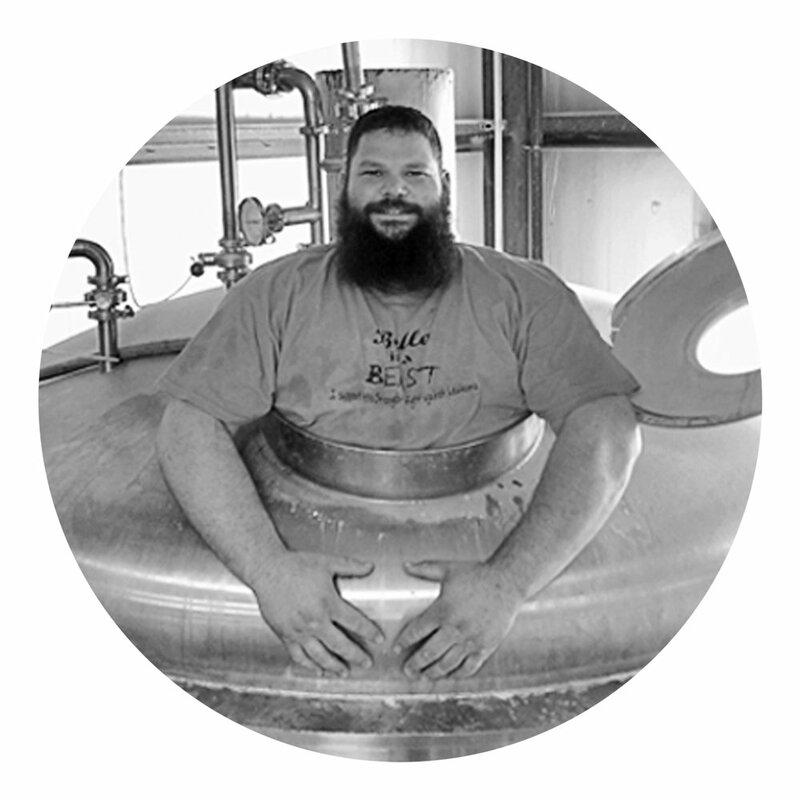 When Jeff joined the Foolproof team in 2016 he didn’t have much experience in the brewing industry, but he had passion to learn a new trade. As a member of the production team, Jeff packages your beer in cans and kegs. Aside from craft beer, Jeff has a passion for music, having acquired a vast collection of record albums that seemingly never ends. Working at Foolproof has made Jeff feel right at home as the brewery’s resident Dead Head. “Craigles” is the resident goofball of Foolproof, and he couldn’t be more pleased to hold that title. Growing up in the neighborhood where Roger Williams landed his boat, he’s as local as it gets! As a former decade-long Boyscout, he often theorized how to bring joy to others in his later years. To this day he can be seen in his natural habitat – wearing suave safety glasses, a cleaning brush in one hand, an iced coffee in the other, and a seemingly endless supply of grins. Damase began his brewing career after taking a course on homebrewing in Rhode Island. After many moves and many batches later, he left his lucrative career as a chemist and went to brewing school. Upon graduating, Damase became a volunteer brewer at Nashoba Valley Winery and Brewery and then accepted a full-time position at Pennichuck Brewery in Milford, New Hampshire (one of those towns where he used to homebrew many years before) and rose to the position of head brewer. Now retired, Dammy serves as Foolproof’s honorary brewmaster emeritus! Part dog, part pig, Lucy is Foolproof’s unofficial mascot. Though not technically an employee, Lucy brings a lot to the table (mostly bad gas and wrinkles).